(TORONTO, ON – FEBRUARY 15, 2017) For the first time since Rally China in 1999, Toyota has won a round of the FIA World Rally Championship: on only the second event for the all-new Yaris WRC. Jari-Matti Latvala inherited the lead after Saturday’s super special stage, when the former leader broke his steering. Latvala then won all three stages today to extend his advantage and claim the first rally win for TOYOTA GAZOO Racing World Rally Team. 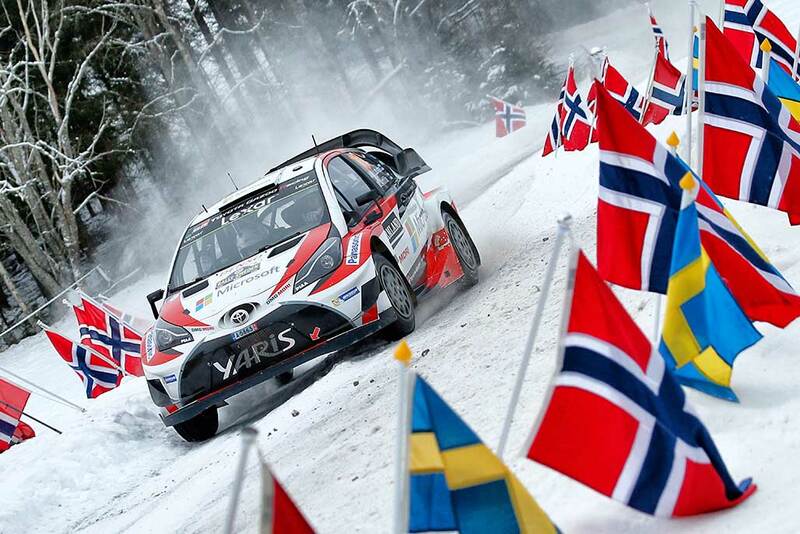 Juho Hänninen had a trouble-free day and scored more manufacturer points, meaning that TOYOTA GAZOO Racing is now second in the manufacturers’ championship, while Latvala heads the drivers’ standings, having sealed his 17th career win, his fourth in Sweden, and his first since Mexico 2016. In total, Jari-Matti won six stages: SS1, SS4, SS13, SS16, SS17 and SS18. See you in Mexico on March 9th! The next stop on the World Rally Championship, round three, is Rally Mexico from March 9-12. This will be the first gravel round of the year and the first run in high temperatures, with the stages at high altitude as well, which deprives the engine of oxygen. As a result it represents another brand new challenge for TOYOTA GAZOO Racing.